In many parts of the country, the notion that the seasons are changing comes by way of cooler temperatures, color palettes on trees begin to take on shades of brown yellow and orange, and bright orange pumpkins start popping up as far as the eye can see. In Central Florida, we’re given roughly two seasons; the rainy hurricane season known as summer, and then there’s the rest of the year… minus the rainy part. 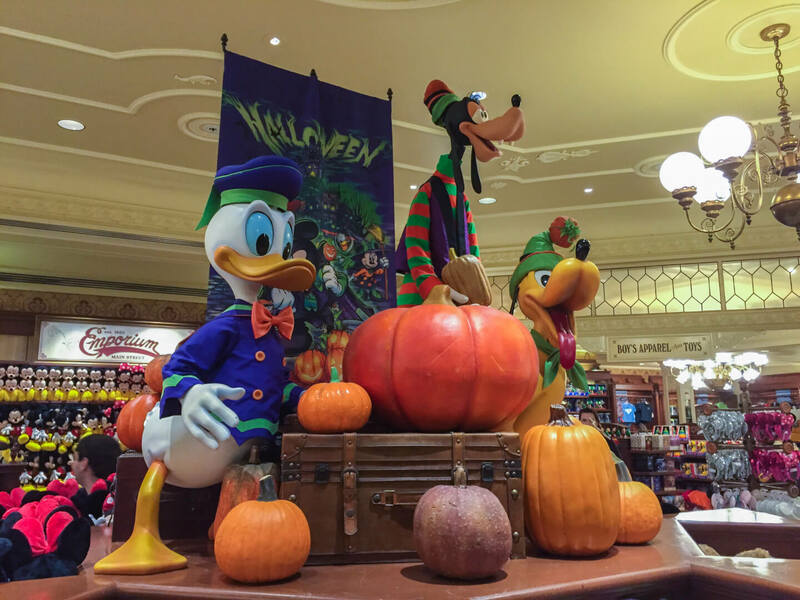 So with September’s arrival, it also marks the season of fall in The Magic Kingdom. The palm trees stay green with temperatures still reaching into the upper 90º’s, but the park with the castle gets pumpkins; Lots and lots of pumpkins. 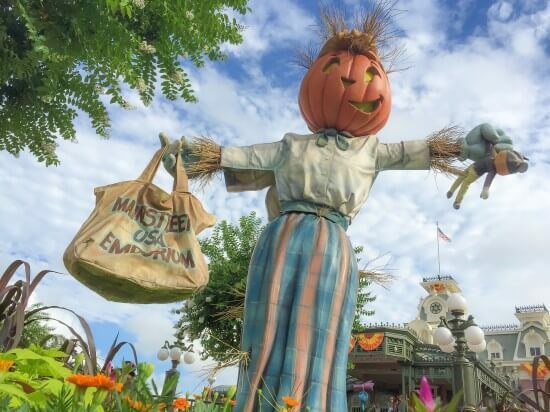 When you first arrive up to the Magic Kingdom, you’re greeted with a delightfully large pair of smiling pumpkins, but it doesn’t stop there. From the Mickey Mouse themed pumpkins on nearly every single lamp pole from Main Street up to Cinderella Castle, Town Square also has its own flair for the season with pumpkin-headed scarecrows. Besides everything incredible that we’ve grown to love and expect from Disney Parks around the world, decorating for the holidays is one of the finest things they do. As with all its attractions, attention to detail is the front runner for holiday designs. 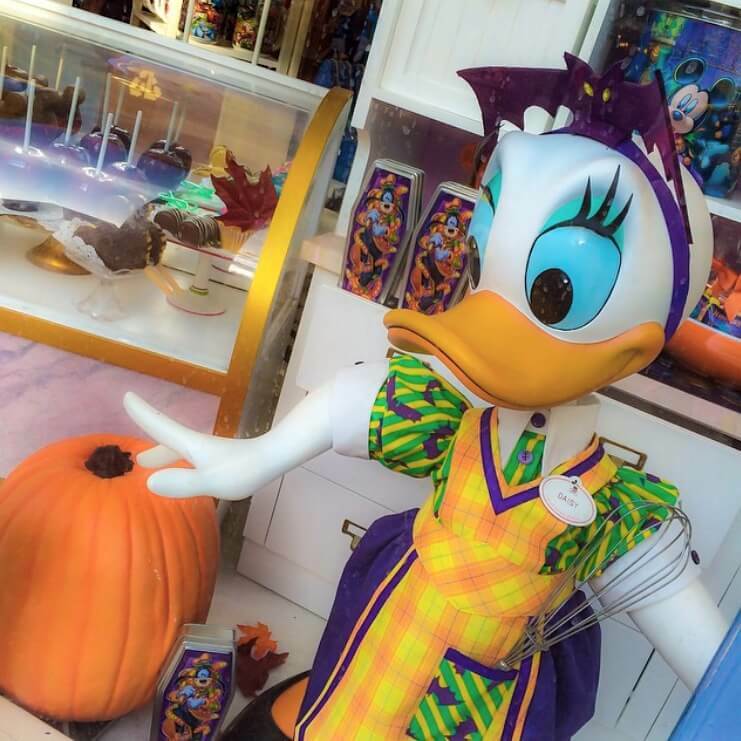 Over in the windows of the confectionery, the displays have been updated with outfits matching those worn by cast members at Mickey’s Not So Scary Halloween Party and across in the Emporium, you’ll find Mickey and Minnie dressed up in their own ghoulishly cute costumes while the rest of gang hangs inside above a merchandise display. There’s more to this holiday than candy, costumes, and haunted mansions… pumpkin spice latté’s are also being served up at Starbucks, located inside the Main Street Bakery. Because you know, nothing says fall like that.